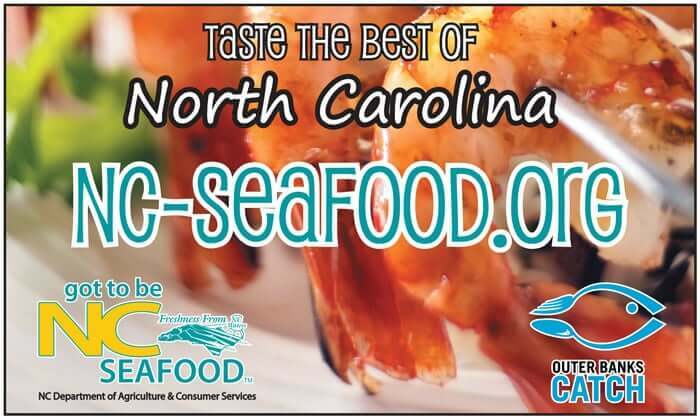 North Carolina Seafood – Division of North Carolina Department of Agriculture and Consumer Services. North Carolina harvests some of the finest fish and shellfish available anywhere in the world, and the state has one of the most diverse seafood industries in the nation. From the highest peaks of the Blue Ridge and Great Smoky Mountains to the elegant shores of our Outer Banks, freshness From North Carolina Waters is a treasure to be shared. Specifically on the Outer Banks, there are multiple resources to get local NC seafood, or catch your own!